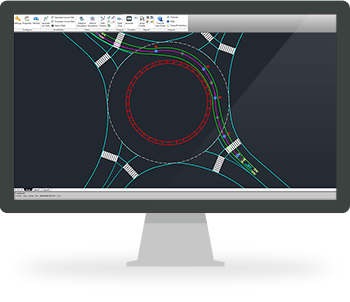 AutoTURN is the vehicle swept path analysis software of choice for engineers, architects, and planners the world over. You can quickly and accurately model and analyze vehicle movements in 2D environments such as intersections, roundabouts and loading docks. Using AutoTURN allows you to evaluate your designs more quickly and accurately while meeting the required standards and guidelines. To begin your trial of AutoTURN complete and submit the form below. If you would like to accelerate the evaluation process, Contact Sales to arrange a conversation about your needs and a one-on-one demonstration.